888Casino is a dedicated casino platform offering a variety of roulette, poker, slots games, and live events. The gaming company has been providing online casino activities to customers all around the world (including New Jersey) since 1997 and has over 25 million members. It has a strong reputation in the U.S. gambling and online casino industry, strengthened further by many awards including the 2015 Best Casino Operator Award from Gaming Intelligence. Unlike other casinos offering online poker in the USA, 888Casino develops the majority of its games in-house. This ensures a unique and enjoyable experience and maintains a high standard of quality across, amongst others, its slots, roulette, poker, and blackjack games. The website is easy to navigate and use featuring an extensive “How to” section covering games, deposits, and withdrawals, etc. The casino is also available as a fully functional app, so you can enjoy playing roulette on the go. The app is compatible across iOS and Android devices and is easily downloadable from both app stores. 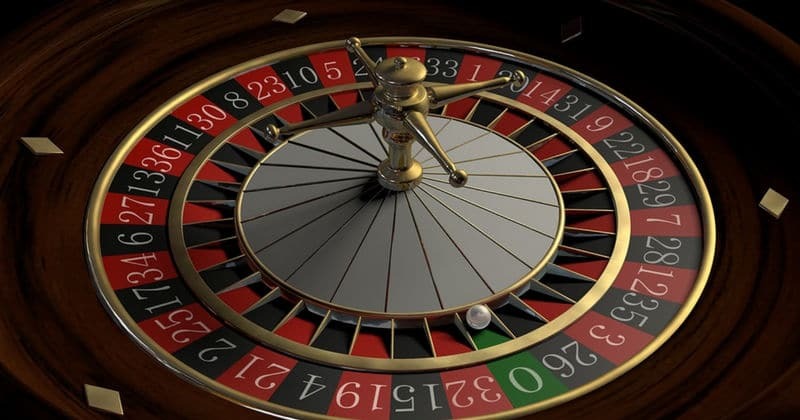 So, let’s take a look at the latest roulette promotions and bonuses from 888Casino in the U.S., including the chance to claim up to $1,500 as a welcome bonus for New Jersey residents who want to try their hand at roulette! This attractive casino welcome bonus tops the list of current promotions and offers available on the site and is simple enough to claim with a three-step process: sign up, deposit, and play. 888Casino will provide a 50% match bonus of up to $500 on first deposit as well as an additional 50% match bonus of up to $1,000 on second deposits. To qualify, both deposits must each be $10 or greater and you must use the promo code Welcome888. Like all the promotions detailed in this article, this welcome bonus offer expires on December 31, 2018, so the clock is ticking for your chance to win at the “little wheel”. Another interesting bonus is the $20 registration bonus for new members who open an account. It requires no deposit and the bonus itself includes $10 of free play on select games in the casino and a $4 cash bonus that is credited directly to player’s bankrolls. This cash bonus is accepted in roulette games in the online casino and the 888Poker website, so it’s a great way for new players to try out both platforms. In addition to its generous welcome and registration offers, 888Casino also runs regular promotions for online gambling in the U.S. Six days a week, there are dedicated promotions including 20% bonuses of up to $100 of free play every Tuesday, which can be spent on classic casino tabletop games like roulette, blackjack, and Casino Reels video slot. If there are any readers who also like variety with the games they play, the monthly 20% bonus of up to $100 on deposits made on the 21st can be used to play classic blackjack. Both promotions require bonus codes, so visit the casino website for further details. The casino itself is easy to use with a clean and simple layout. It consists of a mixture of classic games like the Big Lebowski slots, low stakes/3D/European/American poker, and French roulette and a variety of poker rules set next to an extensive live casino with new games added regularly. The live chat function is available on all live casino games, so players can experience that extra level of interaction as well. Depositing and withdrawing from the casino is also straightforward with a range of accepted methods including PayPal, NETELLER, and bank transfer. There is also the option to deposit/withdraw cash in selected casinos in New Jersey. With a good mix of classic and more contemporary games, including some decent roulette games, 888Casino is equally enjoyable for amateurs and more experienced enthusiasts alike.